Last year, I had the good fortune to receive the accumulated tools and materials of an acclaimed figurative sculptor who worked professionally in the modelling and fine ceramics and porcelain industry for many years. 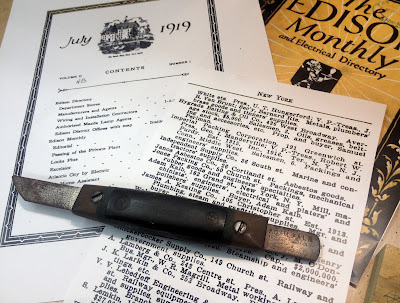 Among his vast collection of clay tools, rasps, chisels, and assorted modelling implements, I discovered a very interesting double-bladed knife tool. 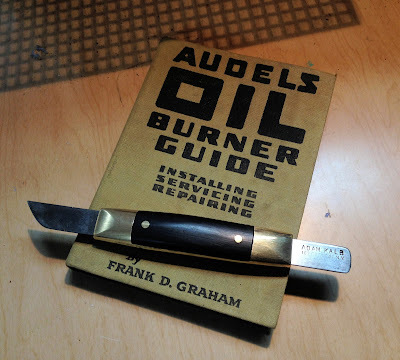 The steel was badly rusted, the bronze handle was covered in a thick layer of crusted patina, and the paper micarta-style handle was warped and swelled due to age. 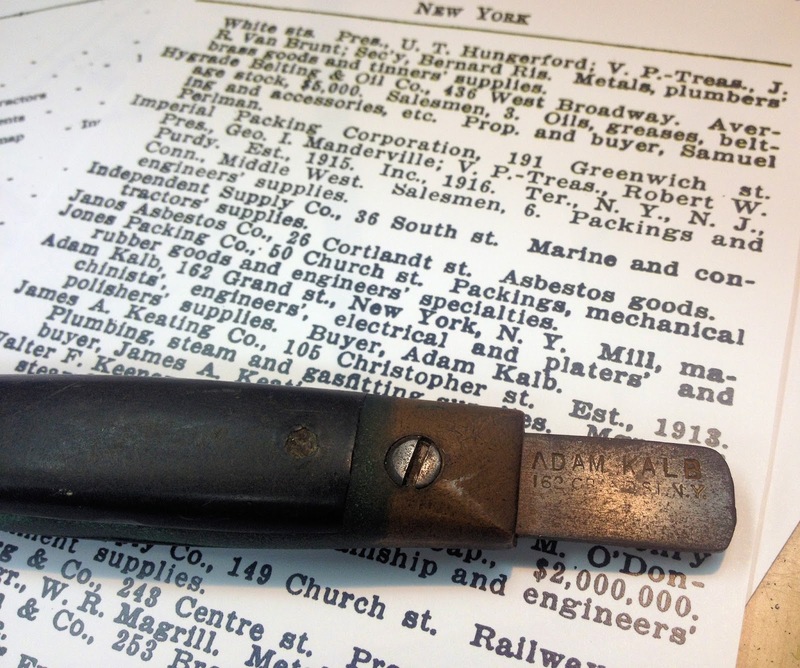 The only markings on the tool to be found were on the blade: "Adam Kalb, 162 Grand St. N.Y.". And so the research began. "Adam Kalb, 162 Grand st., New York, N. Y. 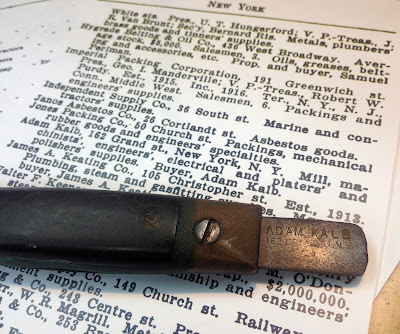 Mill, machinists', engineers', electrical and platers' and polishers' supplies. Buyer, Adam Kalb." Upon further research, I believe the tool to be a plaster alginate knife from the dental and mold-making industry. 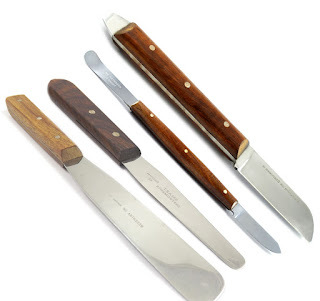 The knife blade end is used for carving plaster mold pieces and cutting open alginate molds, while the blunt end has a slight bevel that allows it to be used as a prying tool to oped up mold pieces and safely remove patterns and models from the mold without damaging the piece or the knife blade. An example of a modern plaster alginate knife from the dental industry.